US 3c red U10 entire manuscript postmarked from Jesuit's Bend, La., September 2d, and sent to Norfolk, Va. The cover was then postmarked NORFOLK, VA, SEP10Â and handstamped FORWARDED 3 to White Sul(phur) Springs, (West) Va. 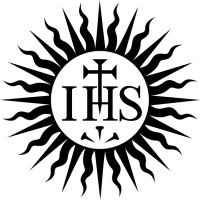 It is said that the name "Jesuit's Bend" is a combo of the Society of Jesus settling in that area of Louisiana and the "bend" in the Mississippi River also associated with that same location.